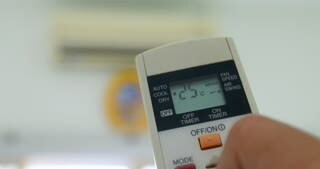 Turning on split system air conditioner with remote control. The turn off air conditioner with remote control, close up view. The cooling device is working on the room wall. 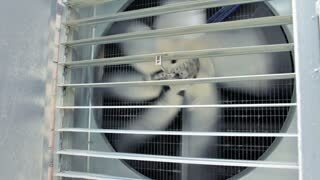 The activation of air conditioner, close up view. The cooling device is working on the room wall.